In preparation of our CCNA exam, we want to make sure we cover the various concepts that we could see on our Cisco CCNA exam. So to assist you, below we will discuss Enabling RIP. 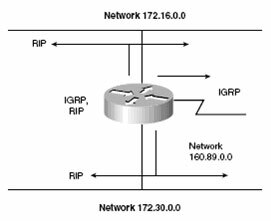 Select a routing protocol (such as RIP or IGRP). Assign network/subnet addresses and the appropriate subnet mask to interfaces. The network command starts up the routing protocol. The network command also specifies a directly connected network and advertises that network. Routing updates broadcast every 30 seconds (the default). RIP can load-balance over six equal-cost paths (the default is 4). Only one network mask can be used for each classful network (RIPv1). RIPv2 permits variable-length subnet masks on the internetwork. A classless routing protocol allows routers to summarize information about several routes in order to cut down on the quantity of information carried by the core routers. 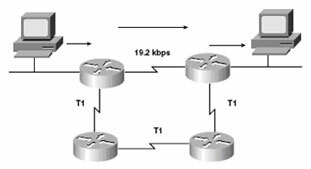 With classless IP configured, packets received with an unknown subnet of a directly attached network are sent to the next hop on the default route. With classless interdomain routing (CIDR), several IP networks appear to networks outside the group as a single, larger entity. Note: The network command specifies the autonomous system and starts up the routing protocol in the specified network. The network command also allows the router to advertise that network. To configure a dynamic routing protocol, select a protocol, assign a network number, and assign network addresses for each interface. RIP, a distance vector routing protocol, uses hop count as a route selection metric. RIP can load-balance across equal-cost paths. The ip classless command prevents the router from dropping packets destined for unknown subnets of directly connected networks.